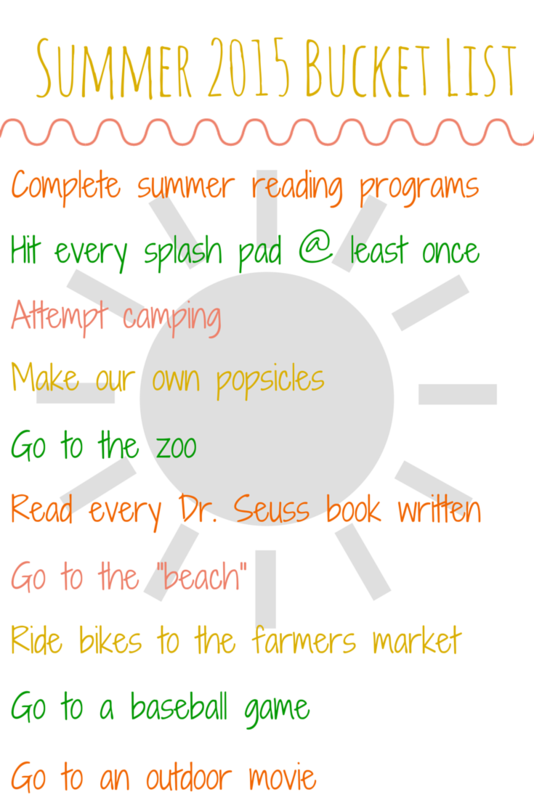 I like to make bucket lists for every season because it helps me to think about what kind of stuff we want to do as a family. Every season has new, fresh things to offer and it is so fun to get out there and take advantage of what might be fun that season! 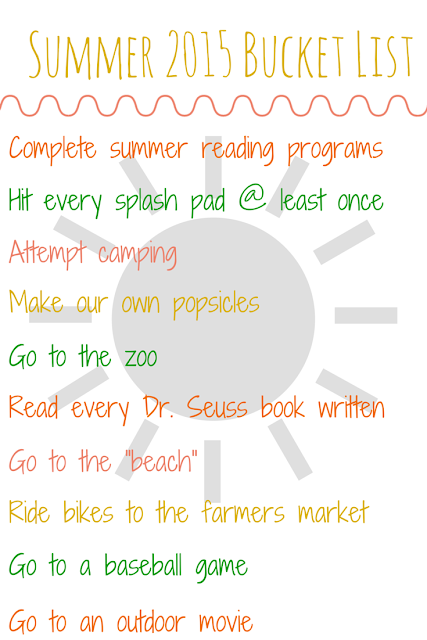 Some of this summer's items have nothing to do with summer (like reading every Dr. Seuss book), but we have just been looking forward to doing those things! We are really looking forward to this summer! My girls are at such a fun age where they are really taking in everything and exploring all that the world has to offer! You can see our past bucket lists here!